The seven-part, behind-the-scenes series on NBCSN and CBC will follow more than two dozen top players before, during & after their participation in 2014 NHL signature events. NEW YORK (Dec. 6, 2013) – Official NHL partner MillerCoors has secured the presenting sponsorship in the U.S. of NHL Revealed: A Season Like No Other™ for its flagship Coors Light brand. 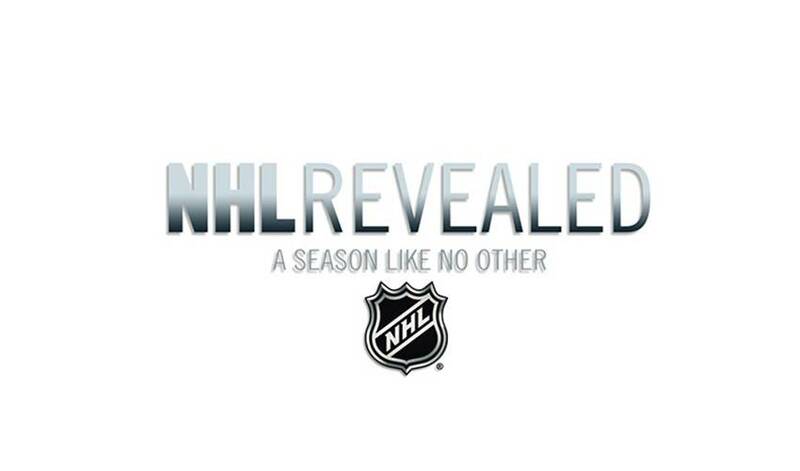 NHL Revealed: A Season Like No Other™ presented by Coors Light is a seven-part series that will tell the stories of more than two dozen of the League’s top stars – on and off the ice – as they participate in 2013-14 regular-season games, including the four 2014 Coors Light NHL Stadium Series™ games and the Tim Hortons NHL Heritage Classic™. Over two months, the production’s cameras will take fans to places they have never seen before. Players will be featured from all nine teams participating in the Coors Light NHL Stadium Series™ games and Tim Hortons NHL Heritage Classic™. The series is being produced by Toronto-based Bristow Global Media Inc. and its principal, Julie Bristow with Ross Greenburg as an executive producer on behalf of the NHL. Bristow is a former executive at CBC whose duties included overseeing production of CBC’s Hockey Night in Canada and creating and producing other top CBC programming. Greenburg, the former HBO Sports President and winner of more than 50 Sports Emmys, served as executive producer of HBO’s initial “24/7: Road to the NHL Winter Classic.” Steve Mayer, the Senior Vice President and Executive Producer of IMG Productions, also is serving as an executive producer on the series. Mayer oversees IMG Productions’ entire New York-based production unit, which produces hundreds of hours of television each year. Debuting in mid-January on NBCSN (Jan. 22) and CBC (Jan. 23) and with a re-broadcast in Canada on Sportsnet (Jan.26), the series will air on NBCSN in the U.S. on Jan. 22; Jan. 29; Feb. 5; Feb. 27 (two hours); Mar. 5 and Mar. 12 and CBC in Canada on Jan. 23; Jan. 30; Feb. 6; Feb. 27 (two hours); Mar. 6 and Mar. 13. Sportsnet further extends audience reach of the Series in Canada with re-broadcasts on Jan. 26; Feb. 2; Feb. 23; Mar. 2 (two hours); Mar. 9 and Mar. 16. The Coors Light NHL Stadium Series™ games follow the success of the wildly popular Bridgestone NHL Winter Classic®, which, since its inception in 2008, has attracted overflow crowds to such iconic venues such as Wrigley Field and Fenway Park and generated record regular-season television viewership. The regular-season outdoor NHL® games first made their way into the schedule in 2003 when the initial NHL Heritage Classic™ was played in Edmonton. The 2014 Bridgestone NHL Winter Classic® at Michigan Stadium on the campus of the University of Michigan in Ann Arbor is expected to surpass the previous all-time hockey game attendance record of 104,173 set at a Michigan-Michigan State game there in 2010.